Hoffman Closure plate without knockout, is suitable for screw cover type lay-in wireway. It measures 0.75-Inch x 4-Inch x 4-Inch. 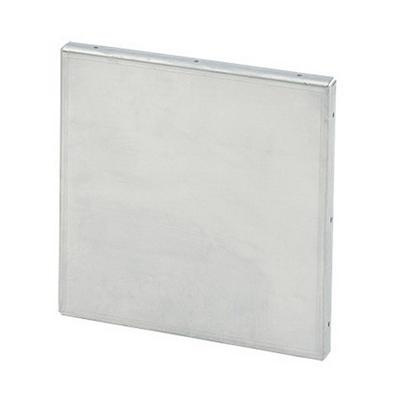 Closure plate features 16-/14-gauge steel construction with unpainted galvanized finish. It blocks or closes the end of a wireway section or run to restrict the entry of foreign objects. It features IP30-degree of protection and has NEMA 1 enclosure for added safety. Closure plate is UL/cUL listed, CSA certified, RoHS compliant and meets IEC standards.